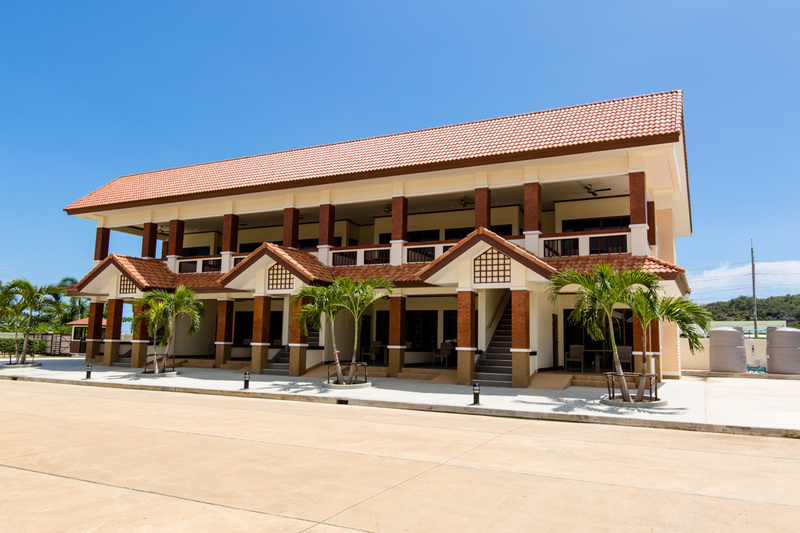 Thailand Resort Hotel Room is the newly developed Hotel consisting of 12 units. Set at the front of the project, each unit has its own private terrace overlooking the extensive pool with the clubhouse. Before entering the room, there is a small storage suitable for suitcases and luggage. Entering the unit there is a sitting room consisting of a couch, coffee table, refrigerator, a Flat screen Television with DVD player. The bedroom has a superior double bed with bedside tables. A comfortable top quality mattress topped with a pleasant duvet with matching soft and firm pillows. There is a wardrobe with a safety vault to keep valuable items safe and secured. Not to be missed is the shower room which has a large powerful shower nozzle, toilet and a wash basin. Each unit offers the facility to make coffee or tea. Each unit has a bright and airy room with an atmospheric terrace for the guest that is looking for pleasure and harmony.